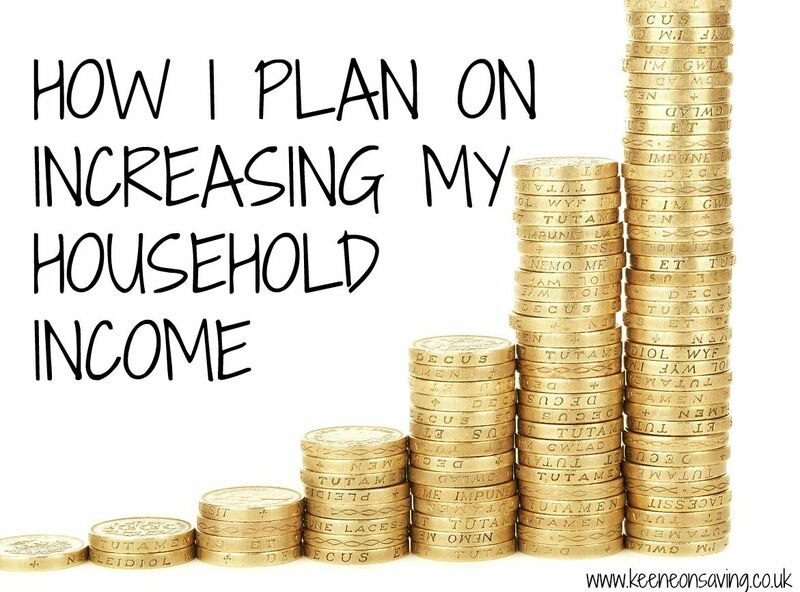 Increasing our household income is always at the forefront of my mind. Whilst Steve works full time at his job, often taking on overtime and with me working freelance, we find that we don’t have much after bills are paid. This leaves little money for saving. We want to be completely debt free as soon as possible and want to have a deposit for a house as soon as we possibly can. This means we need to dramatically increase our household income. So how am I planning on doing this? Take on more freelance work. This is pretty obvious and now that Jack is at nursery 5 days a week for half days, much more achievable. My parents & Steve’s parents would happily pick him up on a couple of afternoons to enable me to get more done. If I am awake, my mind is on pitching for work. Each morning I will go through my emails and check social media before checking a number of different sites I use. Take on a part time job. This one is a little harder to do as with Jack’s nursery hours and the area I live, it is going to be tough to find something with hours I can work. I do keep an eye on jobs going round the village and am applying for a few. I will still do my freelance work around a part time job too. Do surveys/mystery shopping. I already use a few different survey sites and mystery shopping. I’ve cut back the sites I use as some just weren’t worth my time but a cheque every few months from a site like Populus Live can be very helpful. Get cashback where possible. If I am buying something online, I am always going to see if I can go through Top Cashback and get some cashback for it. Yes, sometimes the waiting time for your cashback is crazy but every little helps, right? Declutter and sell, sell, sell. I really need to do another declutter and sell anything that we no longer need or use that is in good enough condition. Do odd jobs. I wouldn’t charge but my Nan wants me to do a few odd jobs round her house every now and again and is insisting on paying me. I’m thinking of putting a sign in my local shops offering my services. I’m really hoping that if I put the effort in and really try my hardest every single day, I will be able to see a dramatic increase from my end. Hopefully Steve will be able to take on some more overtime in the run up to Christmas as well and we can actually start to see our savings accounts grow. How would you suggest increasing household income? My friend Emma at From Aldi To Harrods has started a series on how to make an extra £x amount of money each month – why not take a look? I’m definitely taking some of her ideas on board! Good luck. I have tried a lot of these, and I either forget, or can’t find anything suitable. I joined up to a survey site and for five to ten minutes you get max 80p. So, I gave that up…… What’s the best survey site? I do surveys occasionally and if you have the spare time for about 1 or 2 a day they can add up quite quickly! I’m currently at £13 of my £15 Amazon gift card after about 2/3 weeks. Doing surveys is a great idea. I use YouGov regularly, you get £50 for every 5000 points. It does take a while to accumulate though. Good luck and as a freelancer myself I cannot tell you how difficult it is to gain a steady income. If anyone has any suggestions please let me know! Good luck with the saving! We are trying to save at the minute as well but it seems almost impossible at times – children really are expensive! This is a very timely article, as I’m in much the same boat. One thing I’m considering is selling my handicrafts via Etsy or even Ebay. One thing I’m slowly coming to realize is that my income streams don’t have to be all or nothing. Even small trickles can build up and contribute to our household cash flow, the same way small expenses can slowly drain it. Best of luck in your financial quest! With Christmas just around the corner, any money saving/money increasing ideas is fantastic. My favourite way to increase my income is cashback at the present moment. Easy way of getting a little money back.